With an electric mixer (either hand or stand) stir together the flour, brown sugar, baking soda, cinnamon, ginger, cloves and salt at low speed until combined, about 20 seconds. Stop the mixer and add the butter pieces. Mix at medium-low speed until the mixture is sandy and resembles fine meal, about 1 1/2 minutes. Reduce the speed to low and, with the mixer running, gradually add the molasses and milk. Mix until the dough is evenly moistened, about 20 seconds. Increase the speed to medium and mix until thoroughly combined, about 10 seconds. 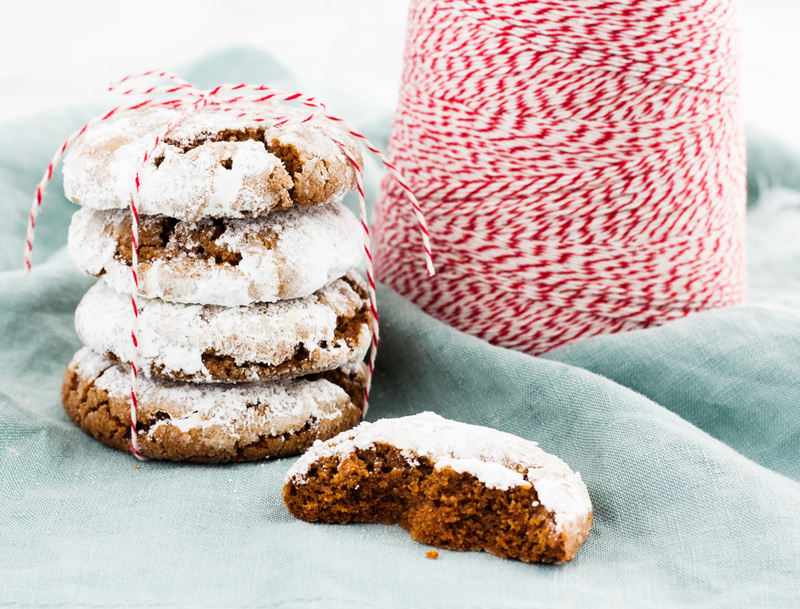 Visit Gingerbread Crinkle Cookies @ ifyougiveablondeakitchen.com for full instructions.